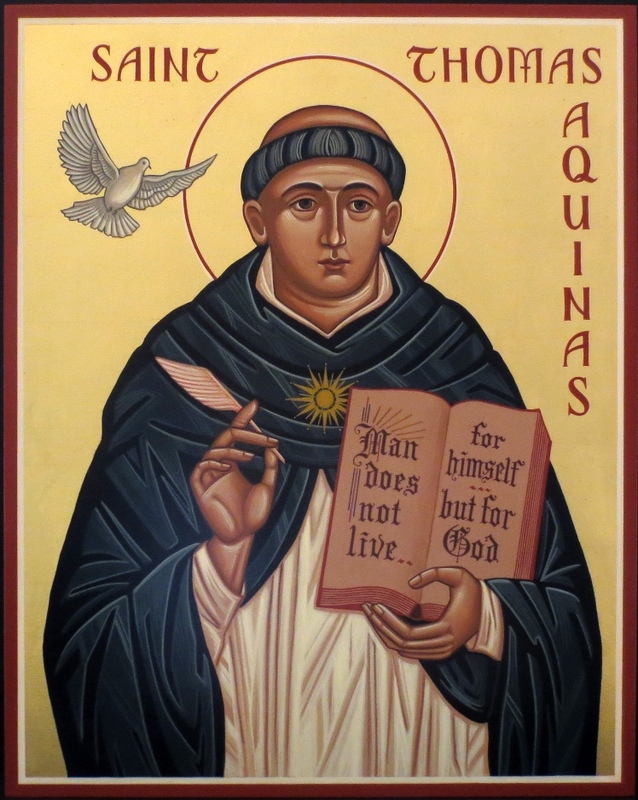 In a materialistic and shallow culture that values appearances, St. Thomas Aquinas Young Adults values radical authenticity. We talk about real issues we are dealing with and use real words we would say around any of our friends. We believe that authenticity, community, and commitment are the foundations of Christian relationship. We imitate Christ in his willingness to become vulnerable, his faithfulness to those he loves, and the communion that he lives with his Father. I was born and raised in Greenville, Texas. The eldest of three kids, I grew up in a devout Baptist household. I had a Prodigal Son-like experience throughout my early twenties before a profound conversion and reunion with my heavenly Father at age 26. Planning on becoming a Protestant pastor or seminary professor, I began an intensive study of the Bible and was sent by my church community to Dallas Theological Seminary. The more I immersed myself in Scripture and Church History, the more I found it to support the Catholic faith. Eventually, I was compelled in conscience to enter the Catholic Church, which I did in 2009. Someone once told me that the grace of God reaches low and I’m a walking example of this. From my childhood, Romans 8:28 has provided much encouragement and peace along the way. “We know that all things work for good for those who love God, who are called according to his purpose.” While my journey has been full of many highs and many lows, I’m reminded each day that my heavenly Father loves me. He created me. He saved me. He sustains me. I have been purchased at a price, and by his grace I’m trying daily to glorify him with my life in response to this love (1 Corinthians 6:20). I began serving at St Thomas Aquinas in 2011. This parish community has been a true blessing to me and my family, and it truly feels like home. I hold a marketing and business degree from Texas Tech University and a Master’s in Theological Studies from the University of Dallas. I currently live on a farm with my wife, Ericha, and my daughter and three sons. Hailing from the Big Sky State of Montana, I moved to Texas to study the liberal arts and to find out what it's like to be so close to the surface of the sun. Previous to my residency in the Republic of Texas, I experienced a profound conversion back to my faith in Christ. In both my three years as a missionary with FOCUS (the Fellowship of Catholic University Students) and two years in the brotherhood of seminary, I grew in my understanding of Christianity lived as a communal bond with others, united in Christ. I grew up in the Lake Highlands area of Dallas, and the Lord hasn’t moved me very far away. I attended St. Patrick’s Catholic School and proudly claim Bishop Lynch as my high school alma mater. As a cradle Catholic, I felt like I knew it all. I attended The University of Oklahoma and studied Visual Communications (graphic design). It was there at OU that I began to truly know the person of Jesus Christ through a strong faith filled group of peers in campus ministry. God transformed my life at OU, but the story keeps moving on from there. When I moved back to Dallas, I began working as a marketing manager for a gymnastics company. I slowly got plugged into the Catholic young adult scene in Dallas. Through connections and countless conversations, I ended up joining the Young Adult community at St. Thomas Aquinas upon its initiation. During this time in the STA Young Adults, I developed a deep longing to love and serve him more. I was called to volunteer with the high school youth group. The Lord began to show me how he might use me to further His kingdom. I fell in love with ministry because it was transforming my life and I wanted so desperately to serve those that were also longing for deep and authentic community. Five years after serving in marketing, the Lord called me to work full-time for his church, and I ran through that wide open door. I have never looked back. I live here in Dallas and recently got married to my wonderful husband, Stephen. You will often see Stephen alongside me during ministry events at the parish. When I’m not at STA, you can find me enjoying some quality time with my friends, reading on my patio, or drinking a nice glass of vino! I also enjoy spending time with my family and specifically my four beautiful nieces here in Dallas. The real team is the countless number of young adult volunteers, small group leaders, and prayer warriors that are keeping this ministry alive. We are so grateful for their continued support!